Schools are nothing without quality teachers ! In 2010, YOU helped Les amis de Hampaté Bâ secure a permanent spot on GlobalGiving! 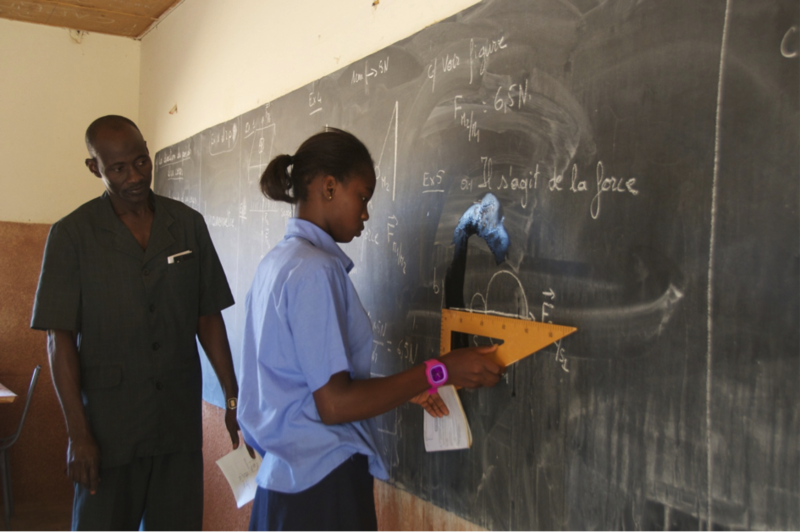 Today, we need your help to supplement the wages of 14 teachers at the Amadou Hampaté Bâ School. There can be no educational development without well trained and effective teachers. To reduce the high turnover rate and have a stable and motivated team of teachers, the school must offer decent salaries and professional development without increasing either class sizes or school fees. That is why your help is needed. If 78 supporters make a recurring donation of $20/month ($240/year) to this appeal, every one of the 14 teachers will receive the Nigerien national average salary for a teacher and school fees will stay as low as possible allowing the school to give quality education to families most in need. Les amis de Hampaté Bâ would like to send $1550 per month to the Hampaté Bâ Middle School to start with. Are you one of the 78 generous and heroic people we need to make a recurring donation of $20 per month? Also, presently, Microsoft is matching new recurring donations to our project! But this will not last for long! So please do not let this great opportunity go! By supplementing the wages of a teacher for $20 a month, you will greatly improve the quality of education for 350 low income children at the Hampaté Bâ School. THANK YOU SO MUCH FOR YOUR COMMITMENT AND GENEROSITY !